Ronalds, Alfred. The fly-fisher’s entomology, with colored representations of the natural and artificial insect, and a few observations and instructions on trout- and grayling-fishing. 7th ed. London: Longmans, Green, and Co., 1868. Provenance: Morris. — Richard Bennett. — Sotheby 1898, lot 829 (sold to Cotton for 12s.). — Unlocated. Reference: MS catalogue (2), no. 842. 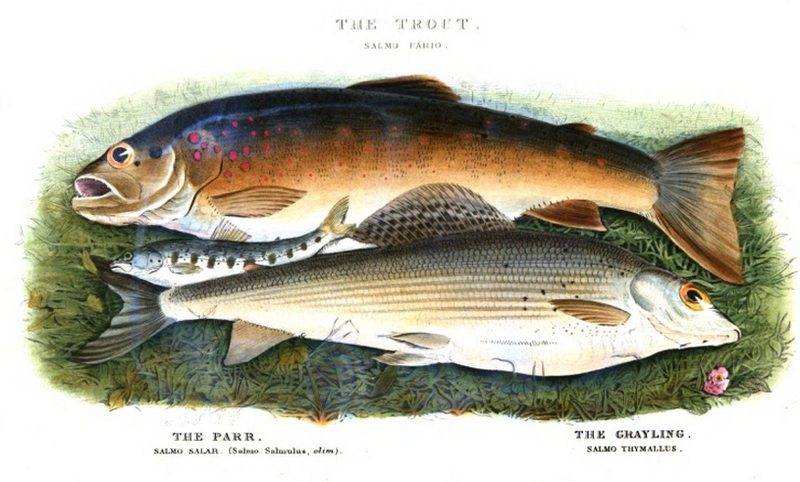 Cholmondeley-Pennell, H. The angler-naturalist: a popular history of British fresh-water fish, with a plain explanation of the rudiments of ichthyology. London: John Van Doorst, 1863. Provenance: Morris. —Richard Bennett. — Sotheby 1898, lot 215 (part; sold to Goldie for 15s.). — Unlocated.